SO GLAD I ordered GT silver. Thats hot. @lumber, regarding the silver wheels shown on the silver car... are the dust caps installed? It's hard to tell from the pic, but if they are installed, then this car has the standard caps with the GT3 logo. Can you confirm? Mike. Out of the three pictures above I like the red best. You did good! Thanks, Macca! There have been second thoughts along the way, but I know now I'm going to be happy with the choice. Exchange in Highland park yes. Nothing new, same as always. It's not for a fire engine, it's a classic Porsche color. But TEHO. Wow! Thanks for posting these pics! This version of the GT3 is just friggin' GORGEOUS. And, the GT silver with silver wheels is mind-blowing. IMHO the red looks the best. Way to go Mike. 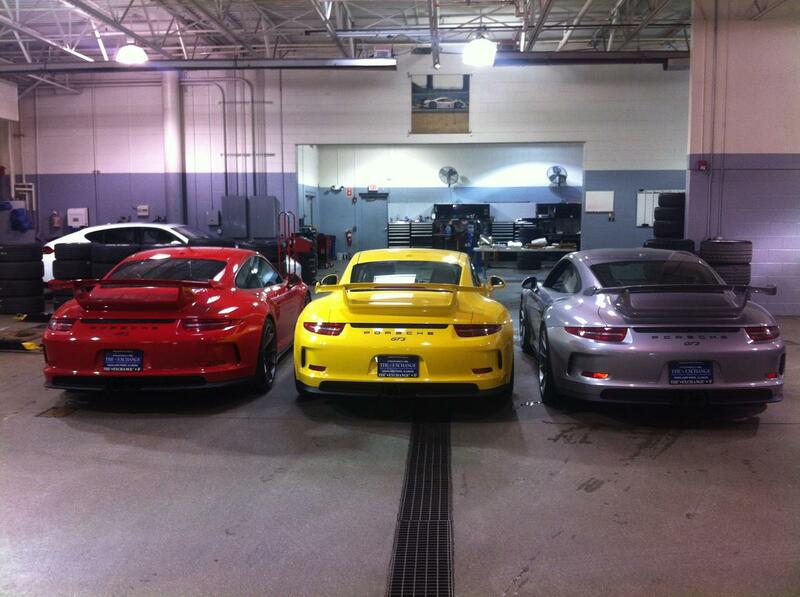 why is it that all dealers in US are not getting their GT3's at the same time? My dealer 1st arrival is late Jan. Strange, ha? GT silver is gorgeous, but better fits the character of a 911 that doesn't have a big *** wing on the back. The aggressive styling of a GT3 is best complimented by aggressive colors. 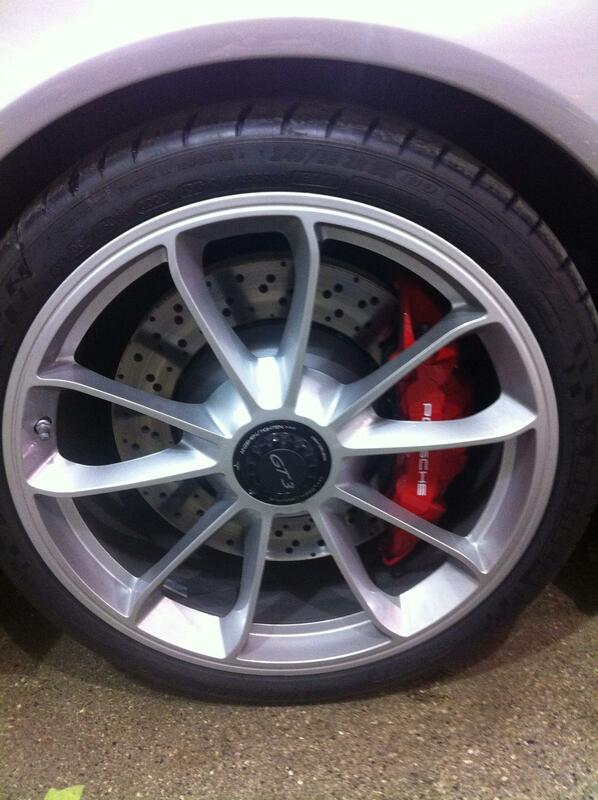 Silver rims are nice, but u need to wash them constantly unless u have ceramic brakes. The 991 GT3 looks great in every color so far, but I'm looking forward to my guards red GT3 with the standard platinum rims. Last edited by bedrock; 12-28-2013 at 04:37 PM. Reason: . Guards is not a new formulation. Yeah in certain light it has an orange hue. Seems most notable under fluorescent lights. It's what makes guards 'pop' when seen in the wild. Of the yellows I still prefer speed over the new yeller. The real life pics keep showing me that guards was the proper choice for me aside from PTS. Is it a general concensus that GT Silver is the most "elegant" of all the silvers offered by Porsche?